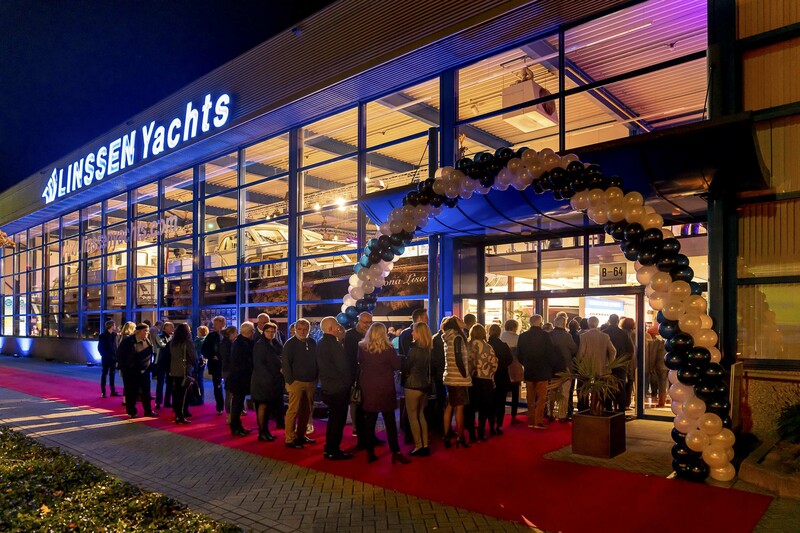 With a 30% increase in visitors, Linssen Yachts in Maasbracht closed the doors on the 20th annual in-house autumn boat show (16 - 19 November). Nineteen international dealers and fifteen yacht charter companies from three continents met to discuss strategy, the future, the market and the brand. 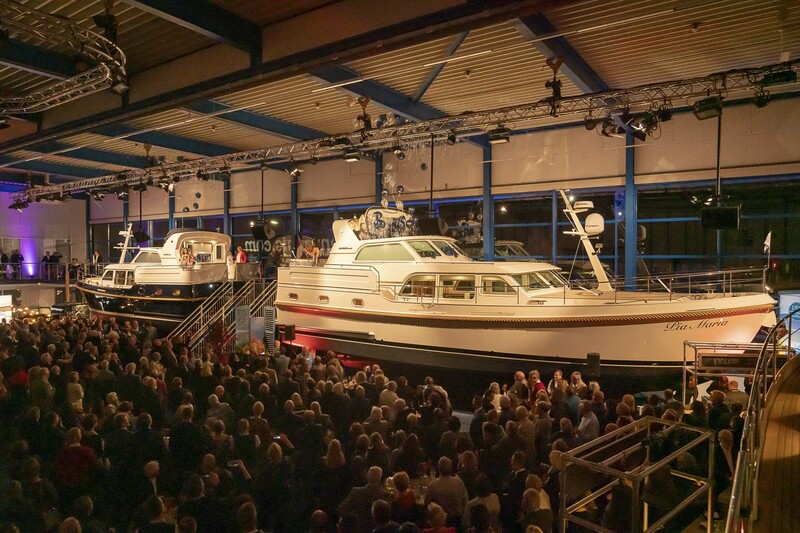 Six hundred guests witnessed the amazing presentation of the new Linssen Grand Sturdy 450 Variotop® during the VIP evening. One thousand five hundred guests from fourteen countries visited the show during the weekend. Orders were received for eleven new yachts, worth a total turnover of EUR 5.2 million. 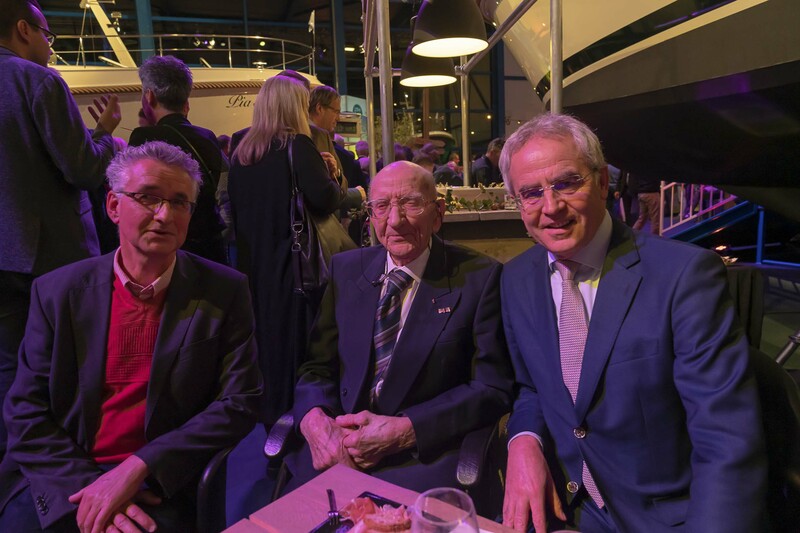 Three Linssen generations were present, including the 96-year-old founder Jac. Linssen sr. And last but not least, the 70th anniversary of this family firm was launched. However, the resounding success of this boat show was not due only to these figures. 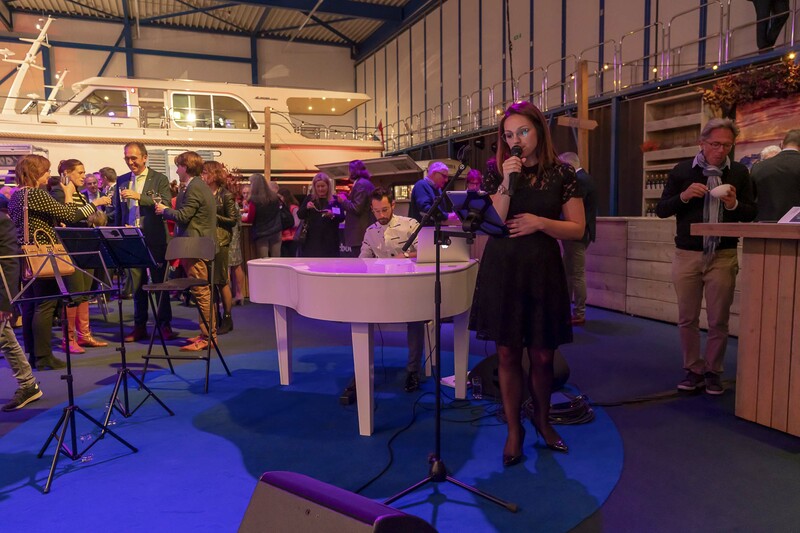 It was also due to the family atmosphere of the many Linssen yacht owners who met one another at the annual meeting of their Dutch, Belgian, UK, German and French owners’ associations. It was the bonding between customers, staff, subcontractors, suppliers and the family that ensured a festive atmosphere. It was the result of the warm words by Mayor Stef Strous of Maasgouw, by Michael Steenhoff of the HISWA sector association and by Yvonne Linssen during the unveiling of the new boat, the account of 70 years of history in a fascinating four-minute film, the illustrated presentation of the new Linssen logo and – most appropriately – the audible launching of the anniversary year using a sturdy ship’s bell. The annual show is the time at which the latest models are presented to the international dealer network. The sales results are also evaluated and the Dealer of the Year Award is presented. 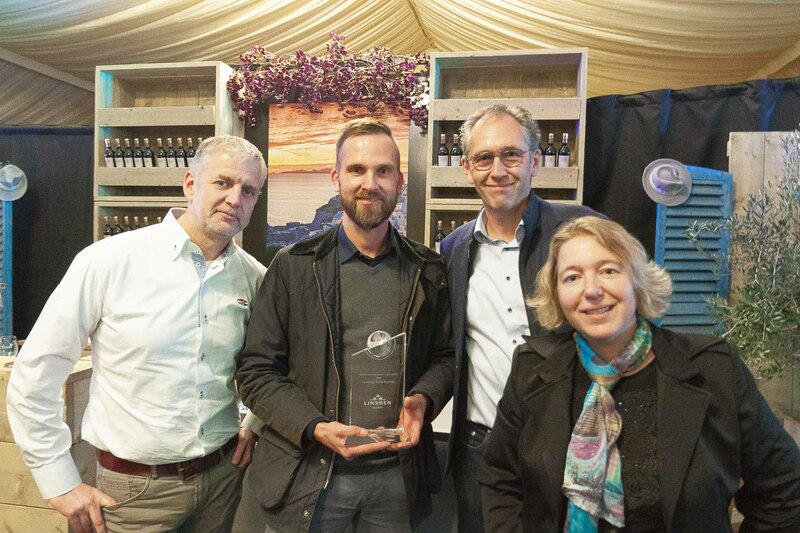 With approximately 38% of the total network turnover, the 2018 Dealer Award went to Hennings Yachtvertrieb. “We have had a successful year. Our strong focus on the Linssen brand adds to the success of the boatyard. That’s something we are very proud of!” said Heinrich Hennings. The European Linssen Boating Holidays network of Linssen charter companies will be reinforced from the 2019 sailing season by departure bases in Willemstad, the Netherlands, on the Hollands Diep estuary featuring yachts of the type 30.9 AC, 35.0 AC and 40.0 AC and in Leangbukta, Norway, in the Oslofjord with a Linssen 35.0 AC and a Linssen 45.0 AC.